My newest fragrance obsession, Joya composition No.1. Parfum, is both a sensation for the nose and eyes. 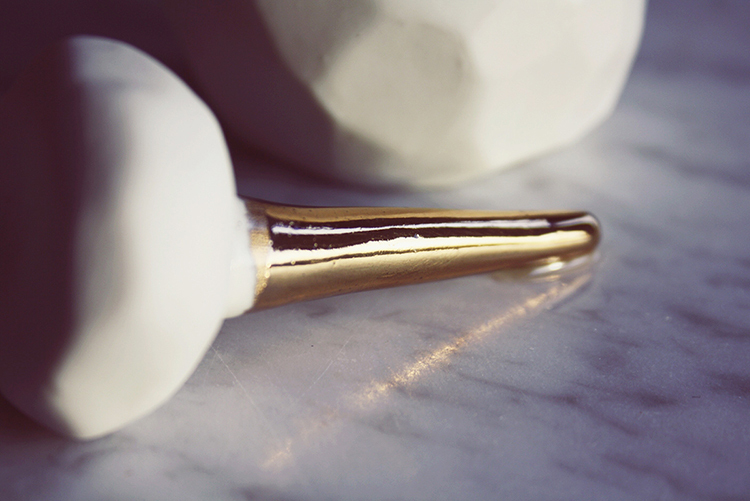 This perfume has the most gorgeous packaging I’ve seen – a white porcelain container with a 22k gold-dipped wand – handmade by ceramic artist Sarah Cihat. The scent itself has a complex character with among others top notes of mandarin and quince, followed by notes of jasmin and damask rose and a final scent of pale musk. Frederick Bouchardy, who is the brain behind the New York based fragrance studio Joya, created some of the finest ethically handmade perfumes, candles and soaps I have ever smelled. Joya counts a long list of clients and collaborations including Alexis Bittar, Selfridges London, Barney New York, Escada and Rodarte. I love that this perfume is oil-based. In most commercial perfumes, oil is mixed with alcohol to create a stronger smell because fragrance in alcohol evaporates faster than it would on its own. The alcohol actually causes the scent to disappear in two or three hours after using it. 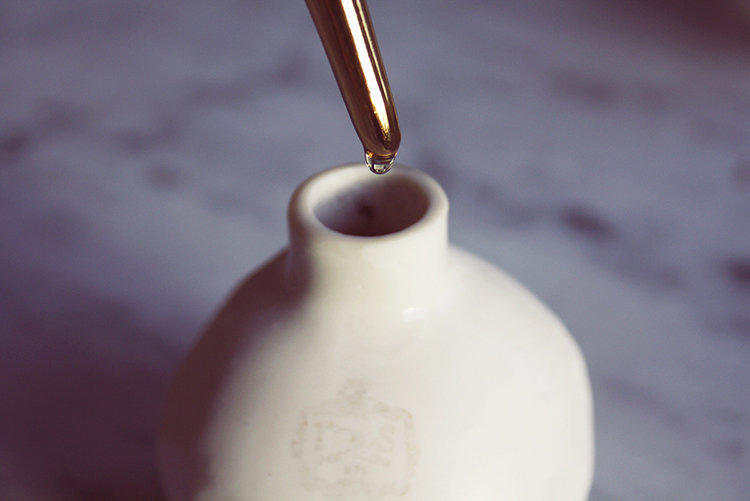 In my opinion, this particular oil-based perfume has a good balance of warmth and freshness. It has a truer, richer scent that doesn’t overpower and lasts a lot longer than scents with alcohol.